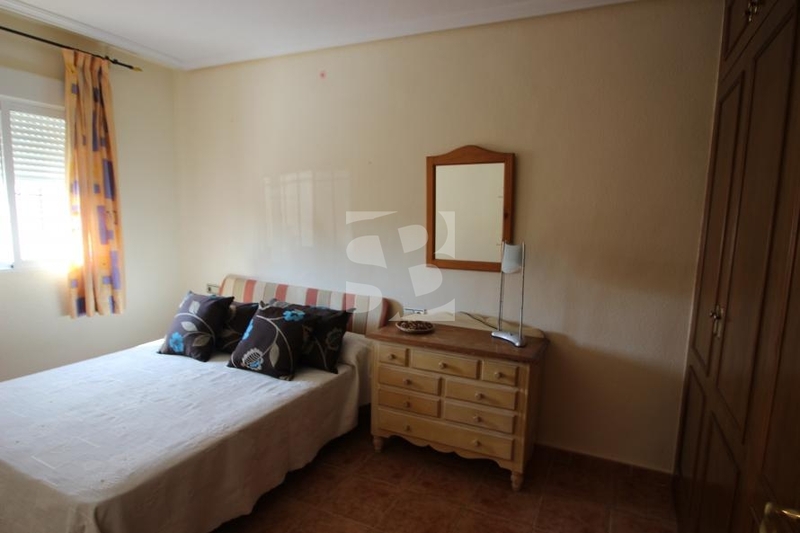 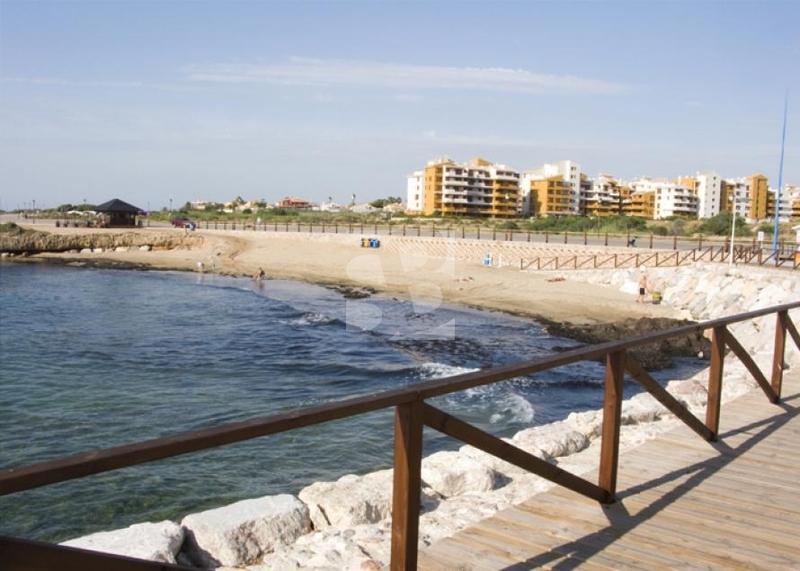 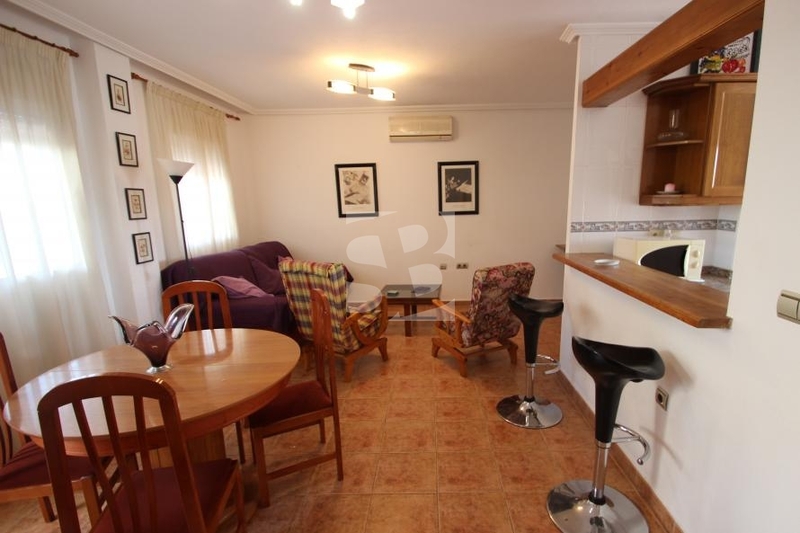 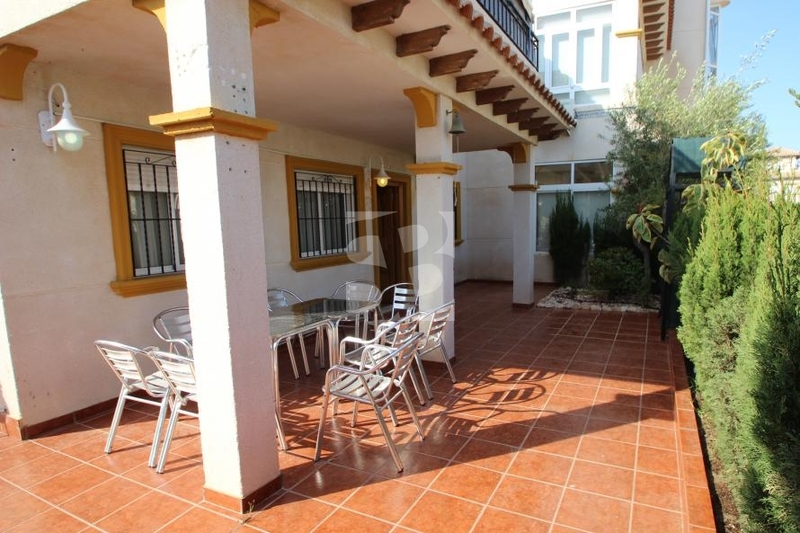 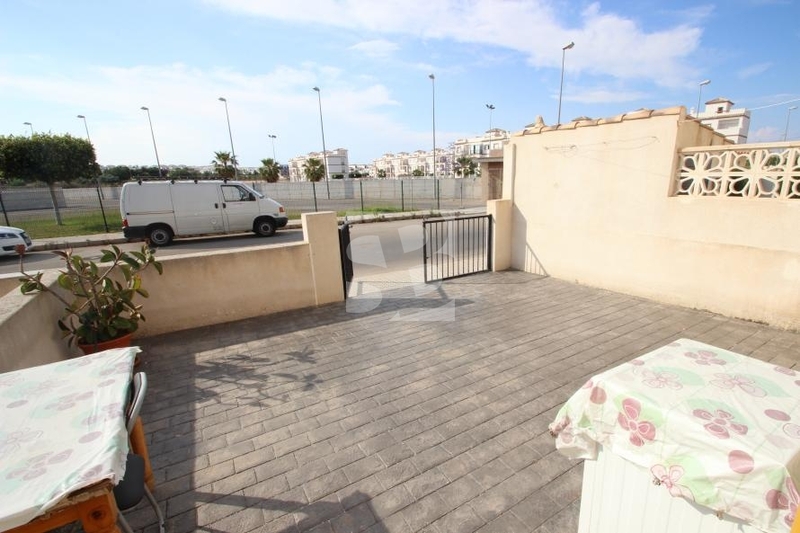 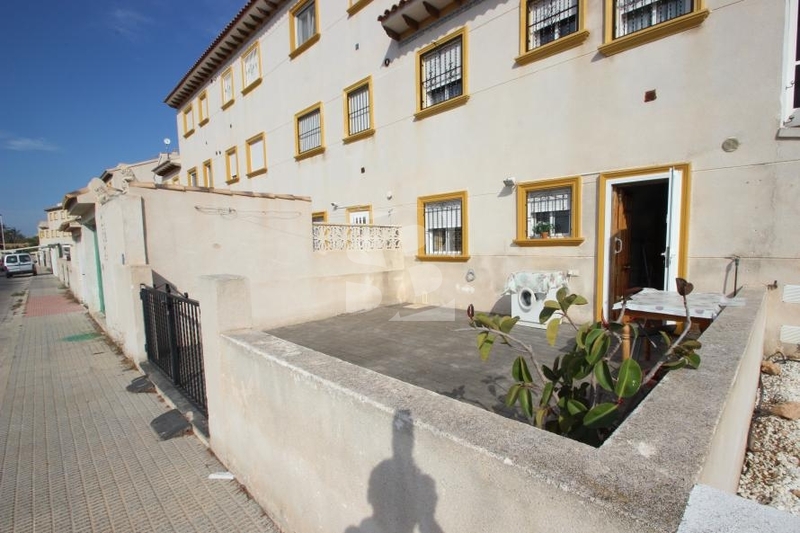 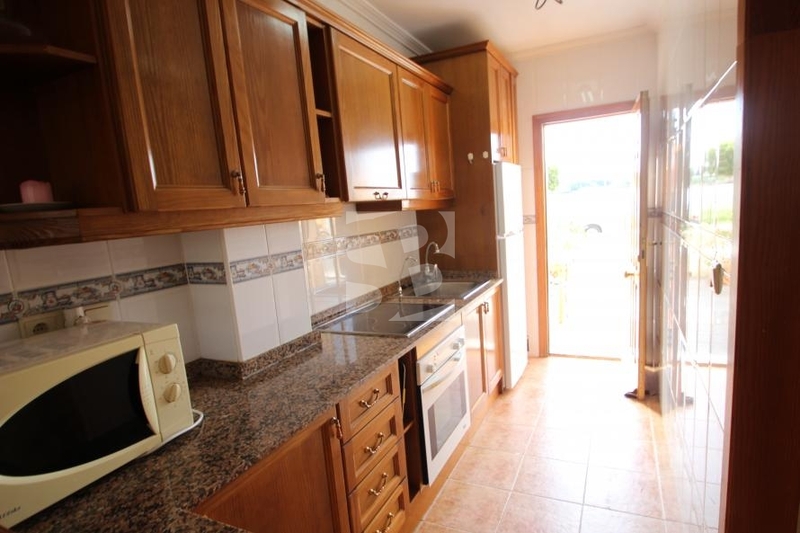 ORIHUELA COSTA-PUNTA PRIMA.- Beautiful bungalow in corner with 80m2 plot. 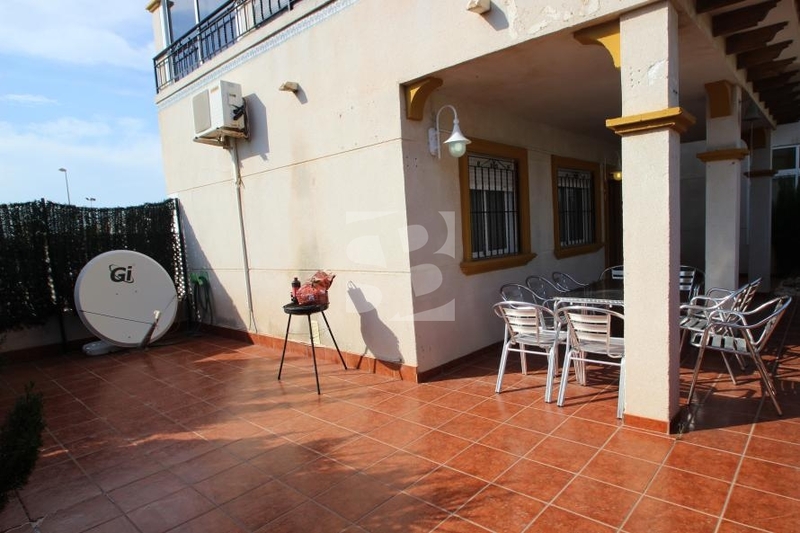 The house has two bedrooms with large wardrobes, a bathroom, kitchen with access to rear with a large terrace of 60m2 allowing very bright direct access to the communal areas, lounge with access to terrace and garden ideal for our sun virtually every day of the year. 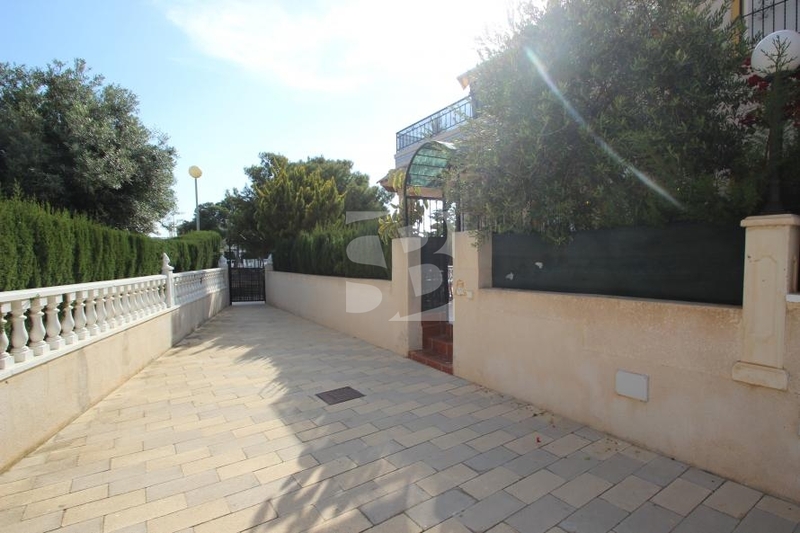 The house is very bright, has two entrances which makes it very fresh and with many possibilities, sold furnished, you have green areas and communal pool. 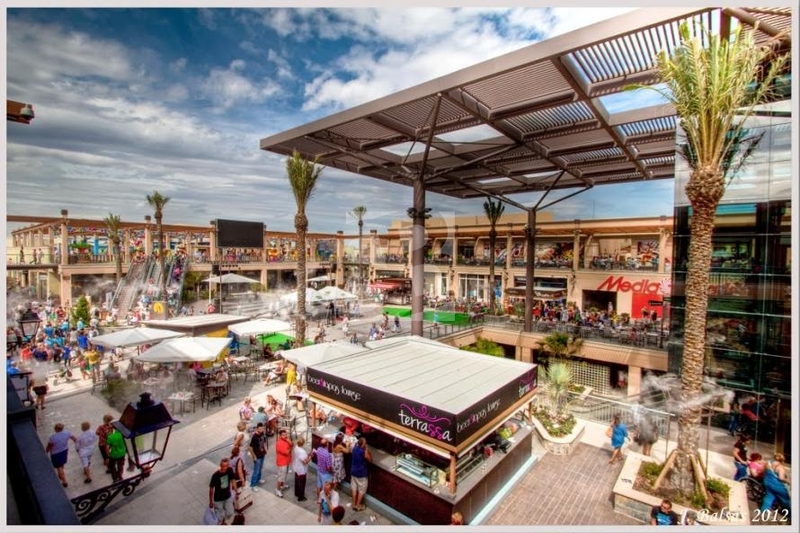 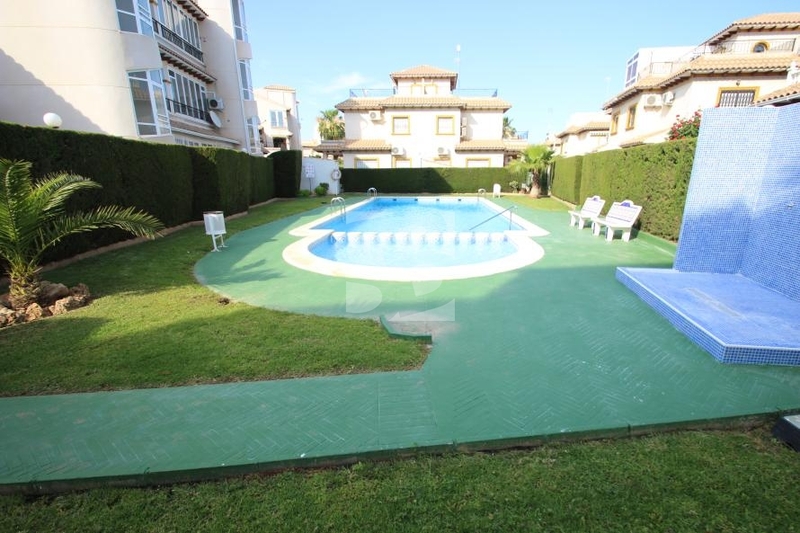 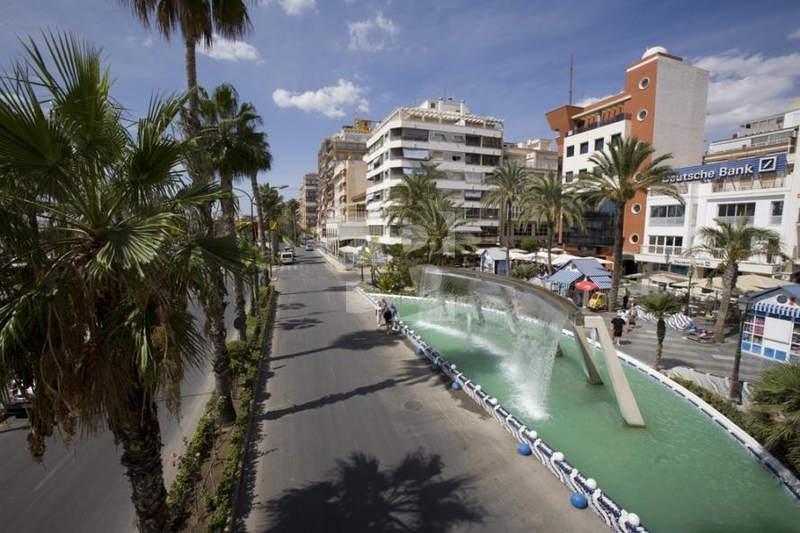 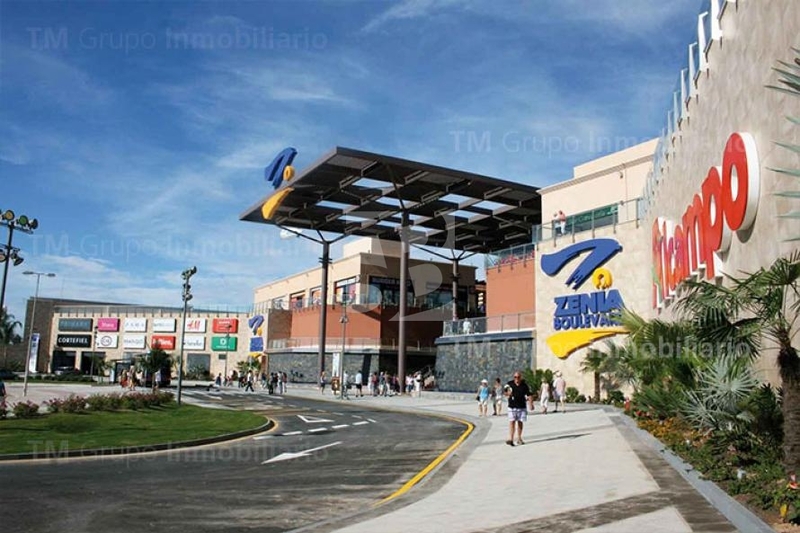 Its location is unbeatable walk to all amenities such as Carrefour, cafeterias, pharmacy, CCZenia Boulevard, golf course, five minutes from Torrevieja center ... and one minute drive from the beach and boardwalks prices. 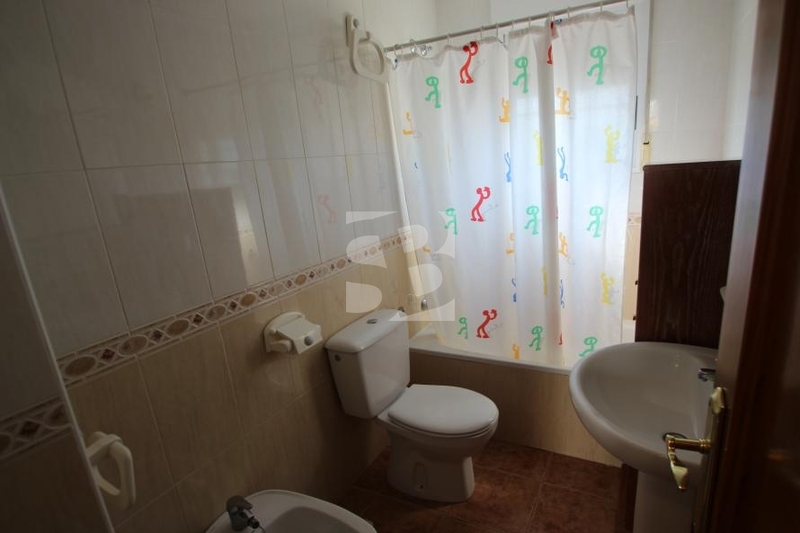 Feel free to visit this wonderful home in a privileged environment. 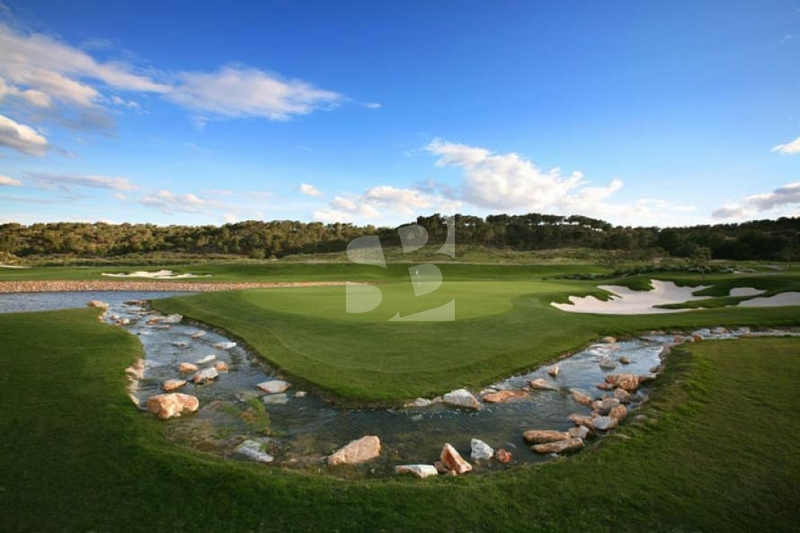 Distance to Golf: 3.0 km.